wide format printer wood printers is a multi-purpose printer fully developed by Maxcan, which employs print head with 3.5PL nozzle diameter and integrate core technology of large format printer. wide format printer wood printers features in large format printing, high speed with double print heads, high resolution and stability, low maintenance cost and adaptable to various environments. When the ownership of wide format printer wood printers is yours, human cost would be greatly saved, productivity of other kind printers will be doubled or above. wide format printer wood printers helps you to gain an advantageous position in market with low cost of consumables including print head and ink. Advertising agency, production of various business gifts, art craft signs and boards. Printing plants, special and custom printing service. Printing works in garment, textile and leather industries. Plastic products, U disk, toy products. Shoes printing on surface, pad and bottom. Printing of Oil paintings, traditional Chinese paintings and other paintings. Printing of eye glass arms, frames and other glass accessories. Printing of kitchen cabinet door, closet door, bathroom cabinet and other Pen. Printing Shop, Wedding Photography Gallery, Scenic Spots, Hospitals and Schools. Wide format printer, wide format printer wood printers,wide format printer wood printers factory,wide format printer wood printers manufacturer, China UV wide format printer wood printers price. 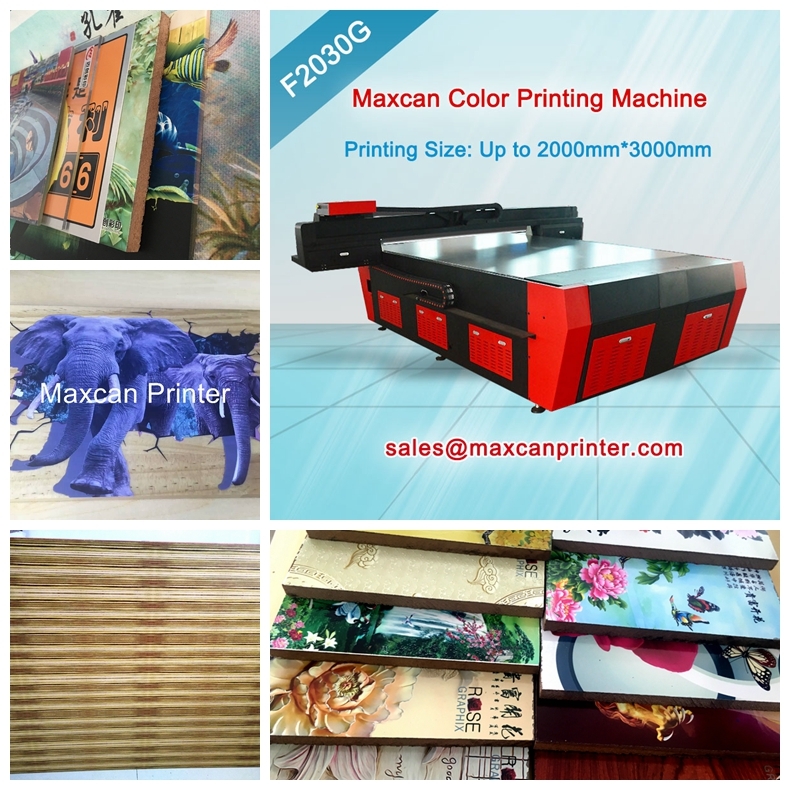 Why choose Maxcan Navigator Series F2030G Wide format wood printer?